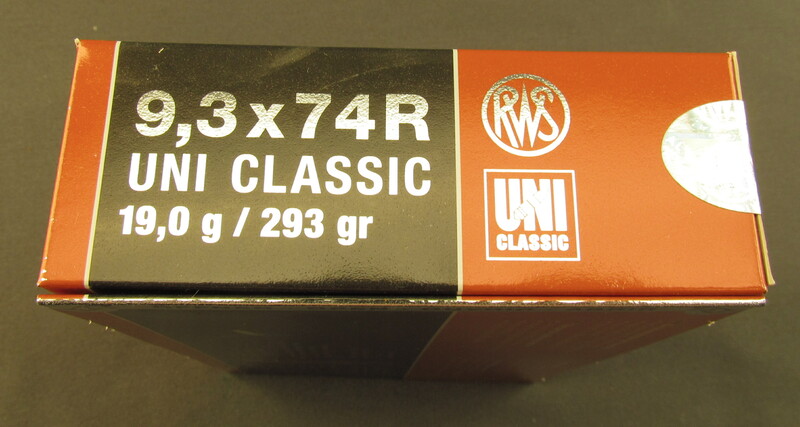 Description: One sealed box of RWS 9,3 X 74 R Uni Classic 19,0 G/293 GR ammunition. This is a premium loading with nickel cased soft point bullets. Box is in new condition with bright colors and the sealing tab still holding the box closed. 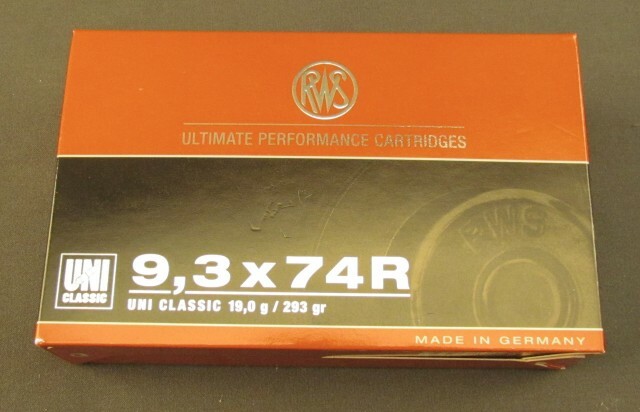 Fine big game ammo for your double rifle or drilling!